Jacques works as Communications Director the Environmental Defense Fund in Louisiana and Restore the Mississippi River Delta, raising awareness to Louisiana’s land loss crisis, its far-reaching implications on people, wildlife and the economy, and the restoration solutions available to address it. Jacques leads a team that leverages public communications and innovative marketing strategies to build support for restoration of Louisiana’s coast. Prior to joining Audubon, Jacques worked as the Public Affairs Manager at Mother Jones in San Francisco, where he helped elevate the profile of the news organization and its reporting. Previously, he worked at Google in its advertising department and then on the company’s corporate communications team focusing on YouTube. Jacques graduated from Dartmouth College with a dual major in Spanish and Latin American Studies. Jacques is a native son of Louisiana, having grown up in the town of Braithwaite in Plaquemines Parish, where his family had lived for generations. In 2015, he participated in Greater New Orleans Foundation’s Emerging Leaders program, in 2016, Jacques completed the Institute for Environmental Communication at Loyola University, and in 2018, he was an Aspen Ideas Festival scholar. Gambit selected Jacques as one of its “40 Under 40” for 2018. 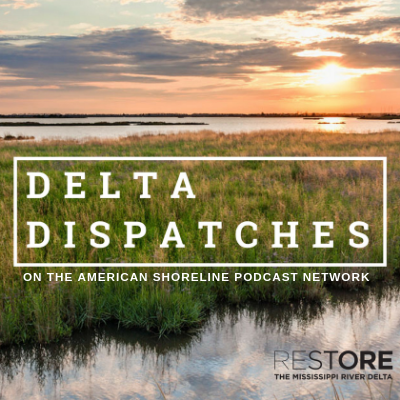 | As Executive Director of Restore or Retreat, a non-profit coastal advocacy group working to identify and expedite the implementation of aggressive, large-scale restoration projects, Terrebonne Parish native Simone Theriot Maloz works with Restore the Mississippi River Delta on the local, state and federal levels to advocate for the needs of the disappearing Louisiana coast, specifically the Barataria and Terrebonne Basins. Since the devastating hurricanes of 2005 and the 2010 oil spill, she has also been tracking the process of the different planning efforts underway, including the Natural Resources Damage Assessment Act (NRDA), Clean Water Act Penalties, the 2012 and 2017 State Master Plan Update and the Louisiana Coastal Area Study projects, all to ensure the needs of the Barataria and Terrebonne Basins are being adequately met with the necessary sense of urgency in the face of what is at stake. She was appointed to serve on the Governor’s Advisory Commission on Coastal Protection, Restoration and Conservation in the summer of 2014, and is a member and co-chair of the Commission’s Diversion Subcommittee. Simone plans on having the Louisiana coast continue to serve as her home and the home of her children and grandchildren.